Jason Cassel has been Board Certified in Criminal Law by the Texas Board of Legal Specialization since 2005 and currently serves on the Exam Committee. Only 7% of lawyers are Board Certified by the State of Texas. Few lawyers are qualified to sit for Board Certification and even fewer pass muster. You owe to yourself and your loved ones to get the best. Jason Cassel has been a leader since becoming licensed to practice law. 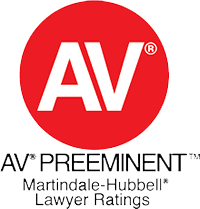 He has taught other lawyers across the State of Texas on topics ranging from DWI to Ethics. He has served on the board of directors and as a committee head for state wide legal organizations. 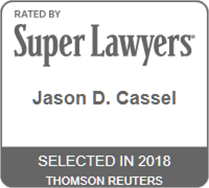 Jason Cassel has been recognized by clients, lawyers and judges for his excellence where it counts, in the courtroom. Jason Cassel provides professional, aggressive criminal defense across the State of Texas and the country in state and federal court. Trial or on appeal. Anywhere, Anytime. Being arrested and accused of a crime is one of the most terrifying experiences anyone could face. You need an experienced, hardworking lawyer to help you fight for your freedom and reputation. Hard work is the cornerstone of success. In order to be successful, we need to get to know you. We always want to sit down and meet face to face with clients in order to listen to their side of the story, not just what the police are saying. Your perspective is important and necessary to properly investigate the case. We will answer your questions and let you know what to expect as your case moves through the system. You can count on professional, straightforward approach. We promise hard work and creativity which time and time again have delivered results. If you are accused of DWI, you have only 15 days from the date of your arrest to request a hearing to prevent your driver’s license from being suspended.